A recent research project by Ayre Chamberlain Gaunt’s Head of Technology Allister Lewis has captured the emerging concept of data-driven design and how it applies to the role of Architects. Using interviews with ten experts in the field of data–driven design, the investigation critically explored what data-driven design is, what skills Architects need in relation to data-driven design, and what impact this may have on the future of the profession. The research undertook interviews to explore how data-driven design was conceptualised, what competencies may be required in the future and how this may affect the existing role of Architects. The resulting information was reviewed and codified into themes for each research question. The process enabled a detailed understanding of common requirements to be demonstrated. Question one explored how data-driven design was conceptualised, with the outcomes demonstrating frustrations from the interviewees with existing ways of working. It was proposed that Architects could benefit by adopting a more scientific approach, utilising diverse data sources, moving away from the traditional practices of experiential and intuition-based decision making. The use of diverse, data sources could allow greater design options to be created based around empirical information. Participants expressed a desire for optimisation of the process of delivering a building to increase the automation and speed of delivery. This aligns with the Construction 2025 aims and objectives and illustrated that the participants are at the forefront of modern problem-solving in their practices. Leadership was seen as a fundamental requirement for Architects which participants felt was lacking. Furthermore, there was a necessity to update existing education criteria from the Architects Registration Board (ARB) and also increase data skills with increased research projects and Continual Professional Development to upskill Architects. Question two illustrated that new skills are required by Architects to meet existing and future needs. The technology available to Architects now means that there are opportunities for new skills to be adopted. Some of these skills were recognised as already required, such as research and innovation in the construction industry. 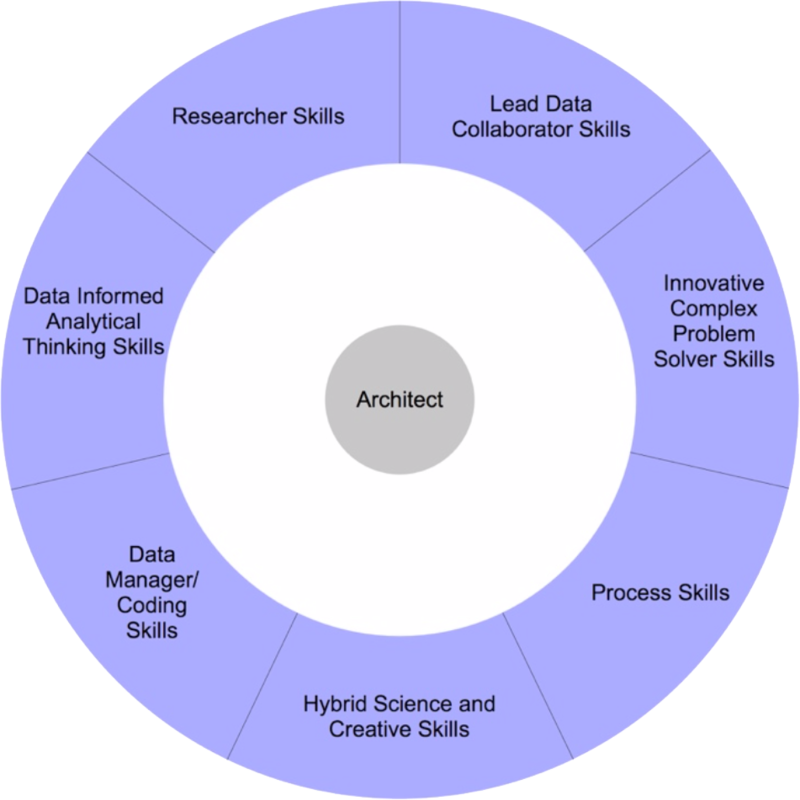 However, new skills will also be required; data synthesis skills, data informed analytical thinking skills and data management skills. These are new areas that Architects could develop and understand either as a team leader or as a team member utilising them themselves. If these skills are adopted, Architects may become a hybrid profession that is both artistic and scientific in its approach. The traditional creative and design focused approach that Architects have will be maintained, however this needs to be augmented with data and analytical thinking skills. A hybrid profession would be well placed to meet the needs in the future. Unfortunately, many of the participants discussed that the traditional nature of Architects, with a resistance to change and a fear of new technology, may result in stasis. This suggests there is a risk that this route will not be adopted and lead to fragmentation. Question three asked what impact will data-driven design have on the future role of Architects? 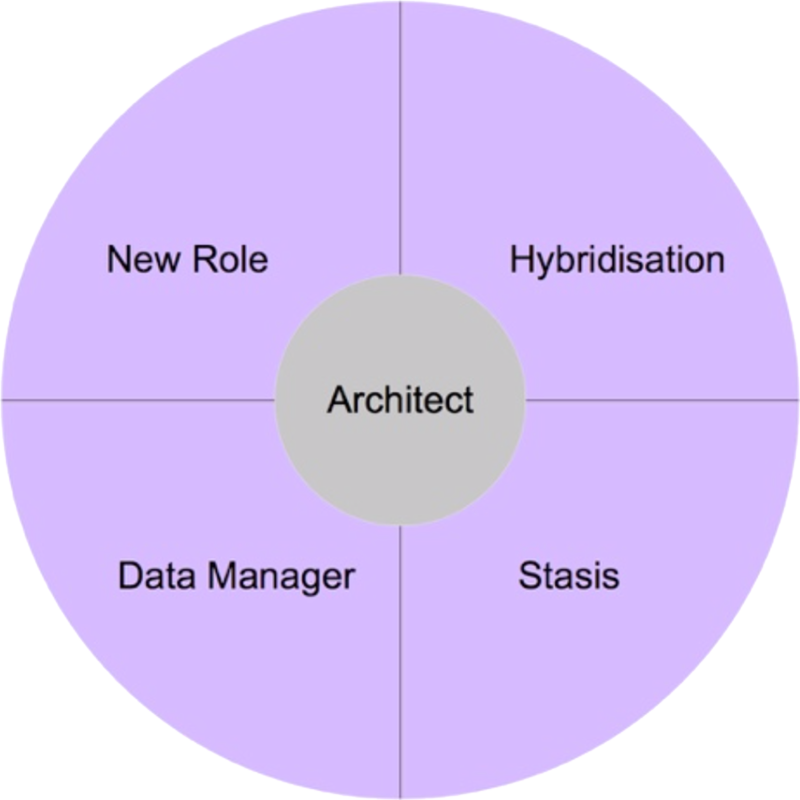 Hybridisation of the architectural role was discussed with the data integrator and data manager role currently being undertaken by Architects who have moved into a BIM Manager role within their organisations which has led to a loss of this particular role to the profession. The latter point is the most critical; Will Architects be able to adapt and change or will they remain in their current guise? If this is the case, then the creation of a new data-driven professional role may be the result and would pose a threat and marginalisation to the existing traditional Architect. Data-driven specialist will possess skills to develop new, efficient proposals faster and with greater insight, supporting better decision-making. If Architects are unwilling to change, there exists an opportunity for a new role to evolve and become a hybrid which is incorporated into current activities. However, equally there is a risk that non-adoption will result in stasis and the loss of an opportunity to develop and evolve, resulting in stagnation and the inability to respond to future challenges. 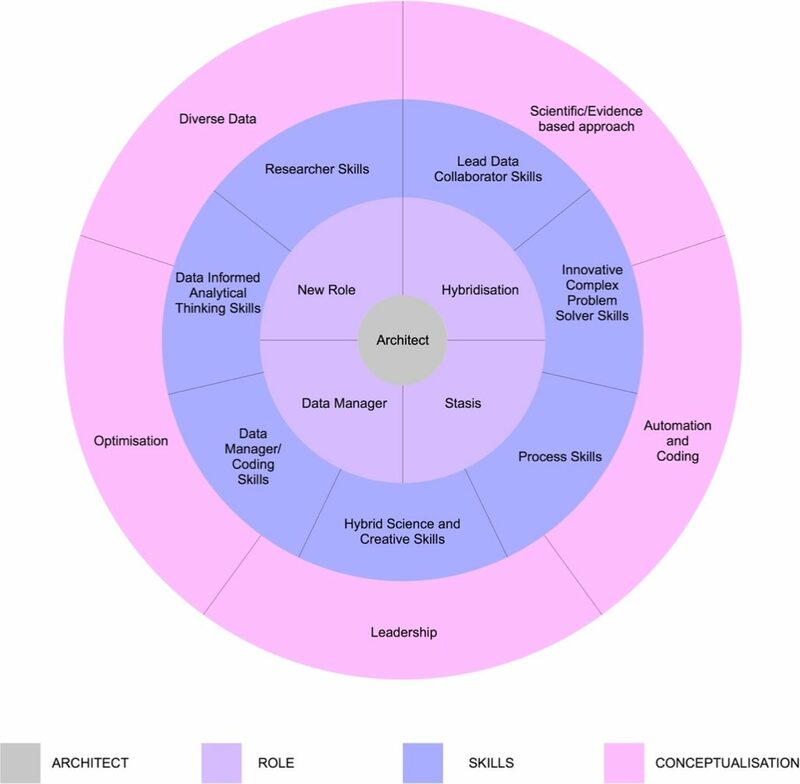 The outcomes of this research demonstrated that in order to meet future construction industry requirements, data-driven design requires a reconceptualisation of the Architect profession. 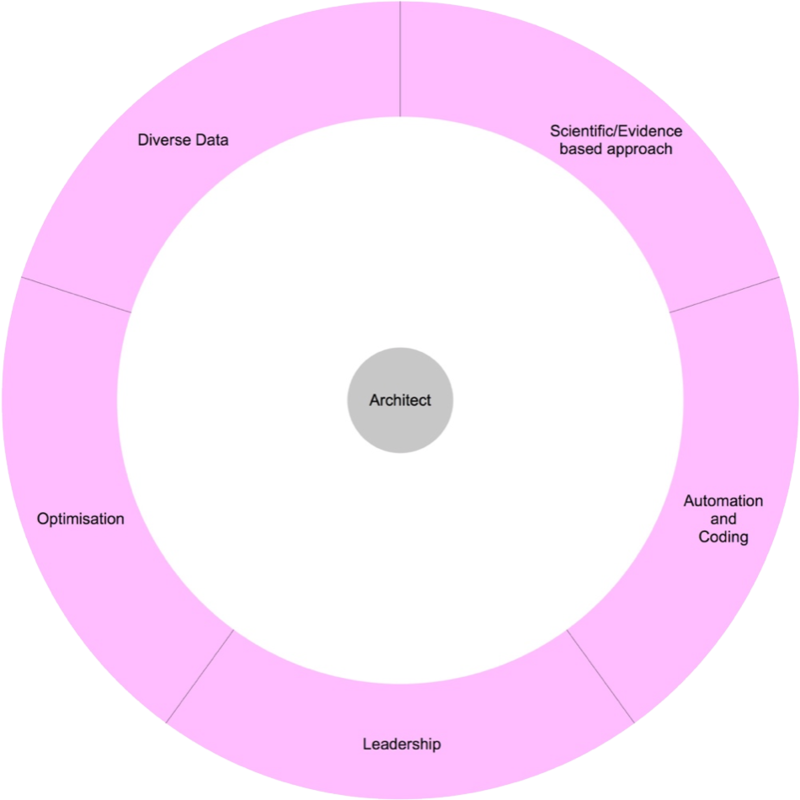 The research identified four alternative futures for Architects; stasis, hybridisation, the loss of Architects to Building Information Management (BIM) roles, or the emergence of a new profession. It revealed that data-driven design is changing the way that Architects work, with new skills required to manage and understand data within architectural practice. A model was presented that illustrates how Architects will need to change, take advantage of new opportunities and adapt fast in a technologically driven construction industry. 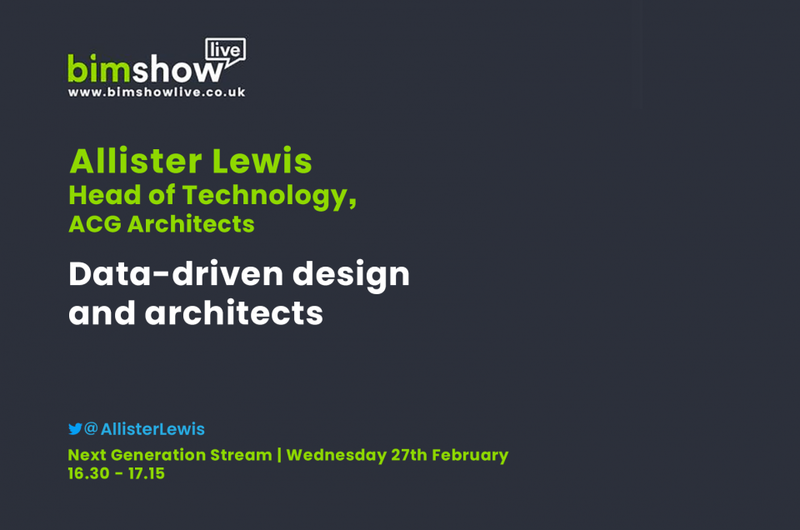 Allister will be discussed this research in more detail in his talk, ‘Data-driven design and architects’ on Day 1 of BIM Show Live 2019, Wednesday 27 February at 16:30.